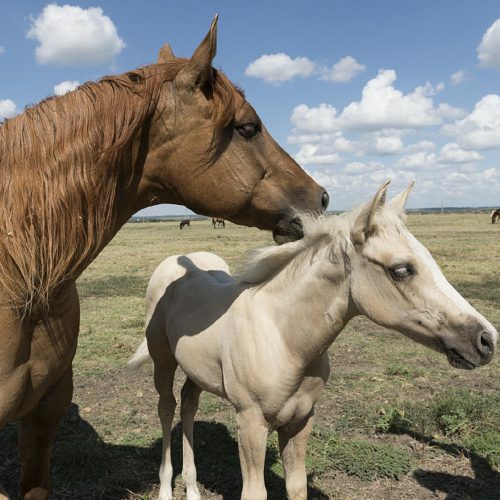 This test detects the single basepair change (in Thoroughbreds, Oldenburger and Quarter Horses) and the deletion of 10 basepairs (in Peruvian Paso and Quarter Horse) in the in the ITGA2B gene. → Equine coagulopathy (inproper blood clotting). Any information you include here is optional, but will be included on the certificate of results. Platelet function disorder → inproper clotting and thus delayed wound closure. Increased bleeding tendency → might cause serious problems with large wounds. There are two mutations causative for GT (gt1 and gt2). 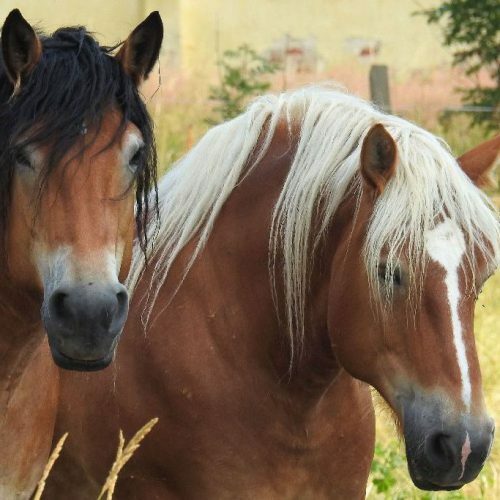 Horses may have one or both variants, so this test identifies both mutations. 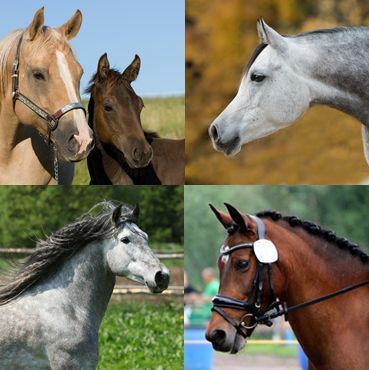 → GT is an autosomal recessive hereditary disease, meaning that horses with only one copy of the genetic variant (N/gt) are clinically normal carriers while horses with two copies of the genetic variant (gt/gt) are affected. N/N normal. 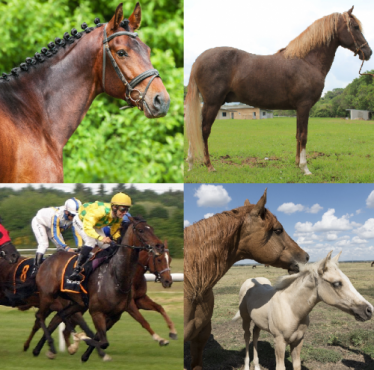 The horse does not have any copies of the genetic variants causative for GT and therefore cannot pass it on to any offspring. N/gt1 a carrier. The horse is clinically healthy. The genetic variant causative for GT will be passed on to its offspring with a probability of 50%. N/gt2 a carrier. The horse is clinically healthy. The genetic variant causative for GT will be passed on to its offspring with a probability of 50%. gt1/gt1 affected. The genetic variant causative for GT will be passed on to all its offspring. All offspring will be carriers (N/gt1). gt2/gt2 affected. The genetic variant causative for GT will be passed on to all its offspring. All offspring will be carriers (N/gt2). gt1/gt2 affected. The genetic variant causative for GT will be passed on to all its offspring. All offspring will be carriers (N/gt1 or N/gt2). Carriers may be bred to normal animals (N/gt1 x N/N or N/gt2 x N/N) without any risk of producing affected offspring. The offspring should also be tested before breeding to determine if they are carriers or normal. Breeding two carriers (N/gt1 x N/gt1, N/gt1 x N/gt2, N/gt2 x N/gt2) is not recommended due to the possibility of 25% of the offspring being affected. Affected animals (gt1/gt1 or gt2/gt2 or gt1/gt2) should not be used for breeding. Sanz, MG., Wills, TB., Christopherson, P., Hines, MT. : Glanzmann thrombasthenia in a 17-year-old Peruvian Paso mare. Vet Clin Pathol 40:48-51, 2011. Pubmed reference: 21291483. DOI: 10.1111/j.1939-165X.2011.00289.x. Christopherson, PW., van Santen, VL., Livesey, L., Boudreaux, MK. : A 10-base-pair deletion in the gene encoding platelet glycoprotein IIb associated with Glanzmann thrombasthenia in a horse. J Vet Intern Med 21:196-8, 2007. Pubmed reference: 17338169.Macieira, S., Rivard, G.E., Champagne, J., Lavoie, J.P., Bédard, C.: Glanzmann thrombasthenia in an Oldenbourg filly. Vet Clin Pathol 36:204-8, 2007. Pubmed reference: 17523098. Christopherson, PW., Insalaco, TA., van Santen, VL., Livesey, L., Bourne, C., Boudreaux, MK. : Characterization of the cDNA Encoding alphaIIb and beta3 in normal horses and two horses with Glanzmann thrombasthenia. Vet Pathol 43:78-82, 2006. Pubmed reference: 16407493. DOI: 10.1354/vp.43-1-78.